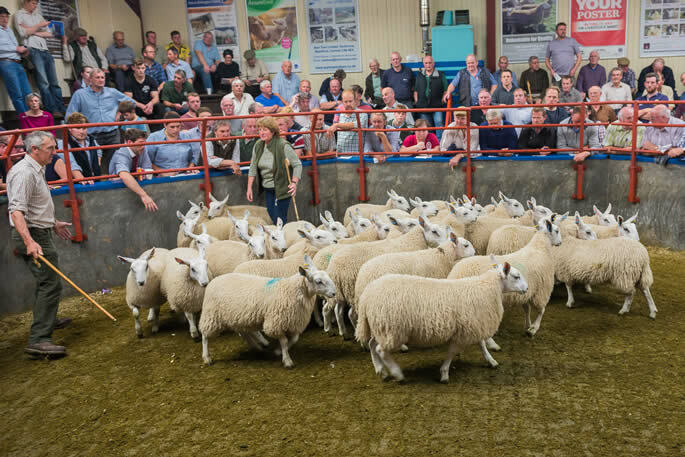 The Countries Principal Show and Sale of 8,878 Cheviot Mule Ewe Lambs and Shearlings along with Cheviot Mule Cross Ewe Lambs was held in Longtown on Tuesday 22nd August 2017. 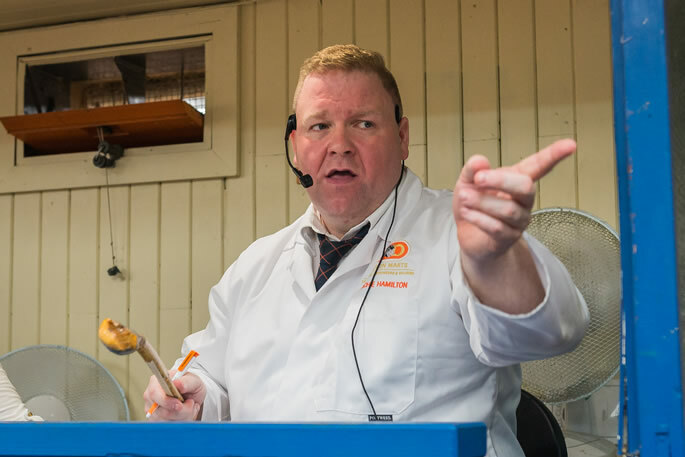 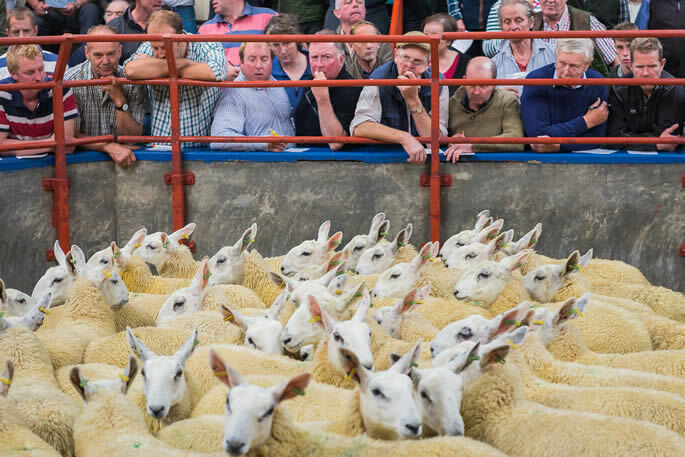 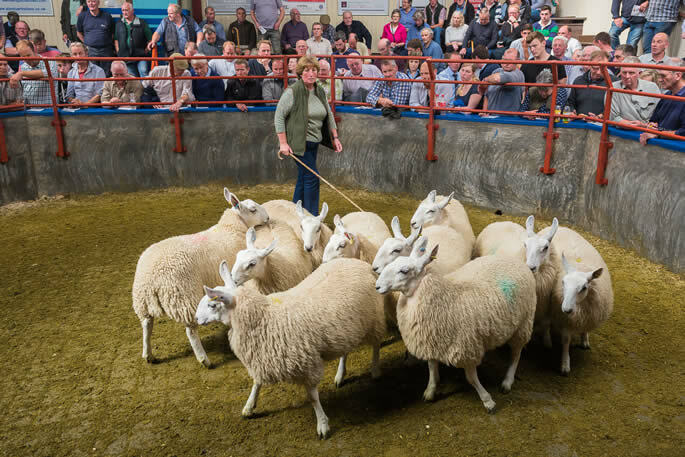 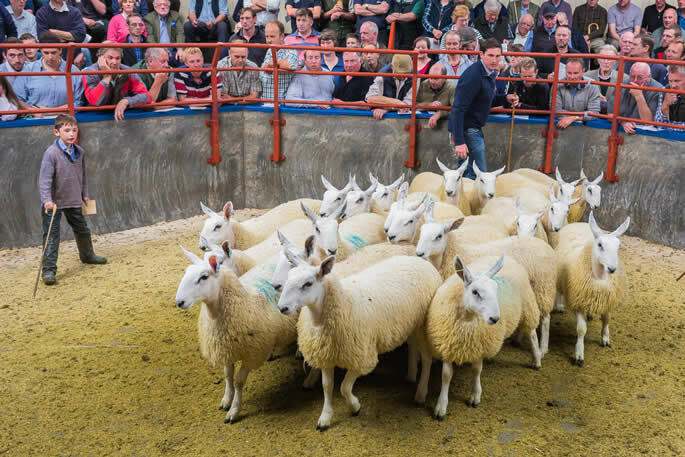 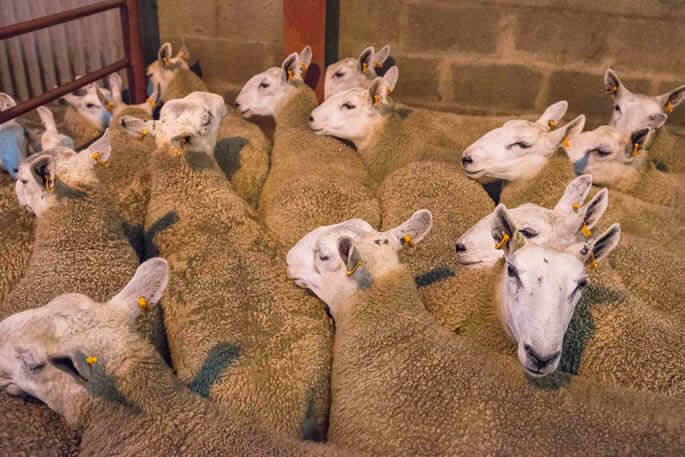 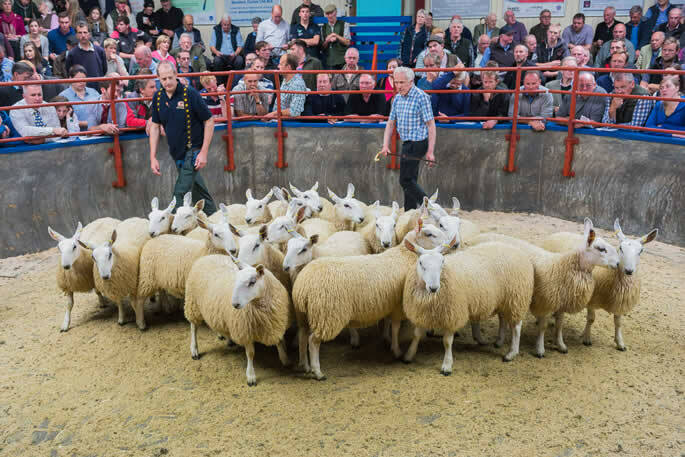 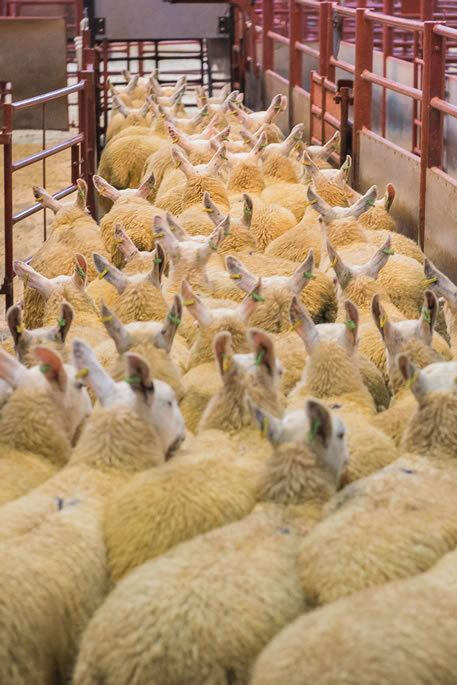 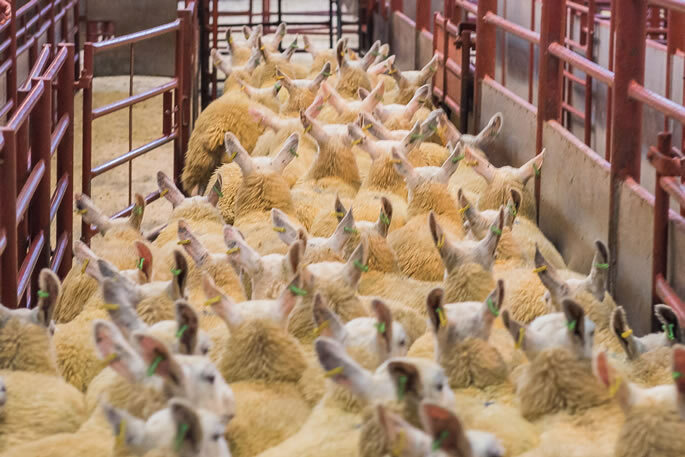 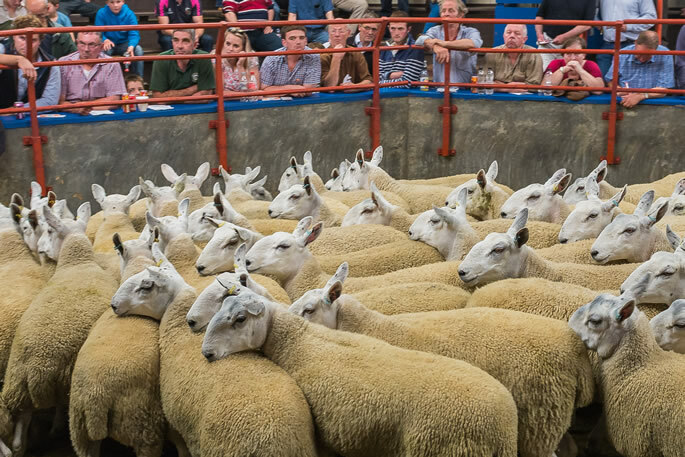 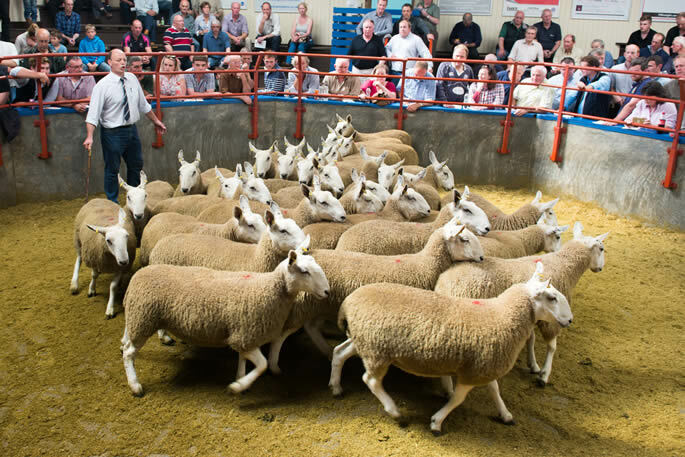 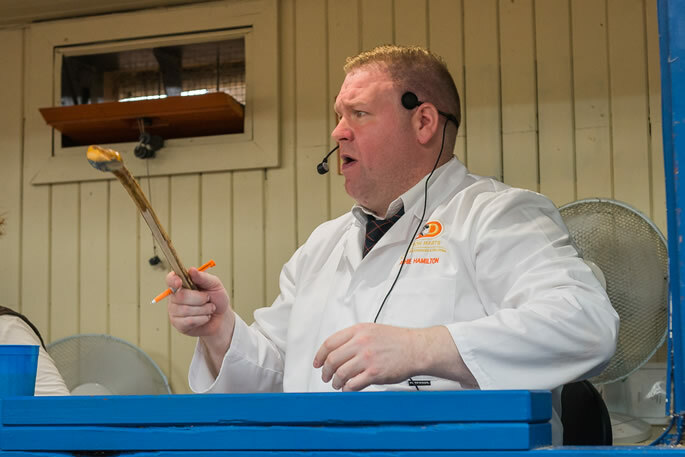 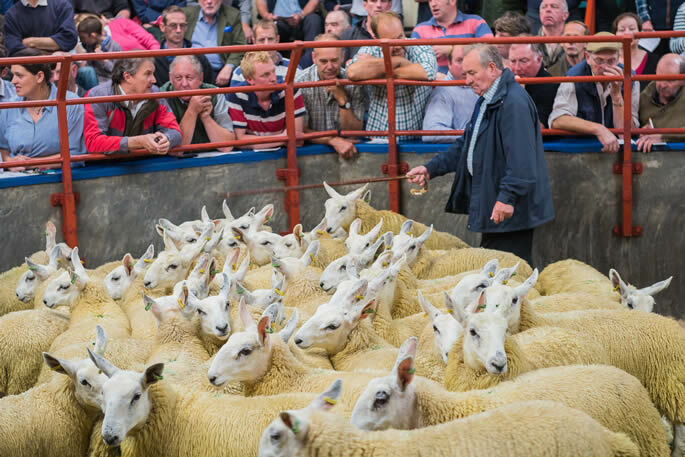 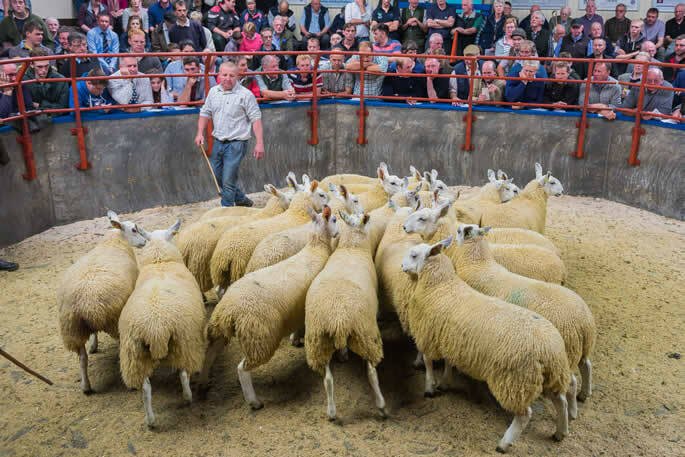 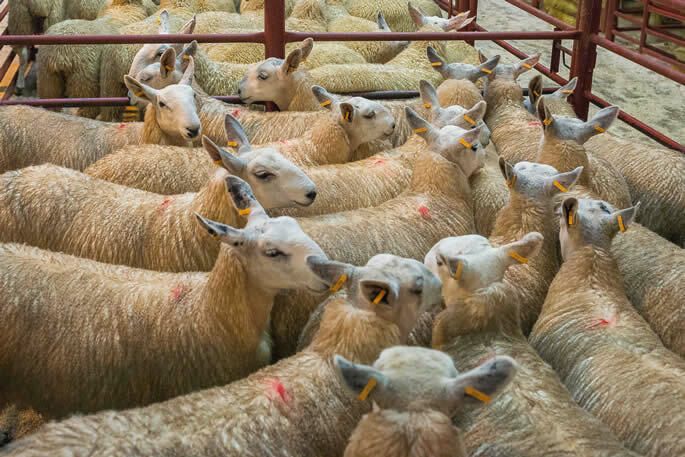 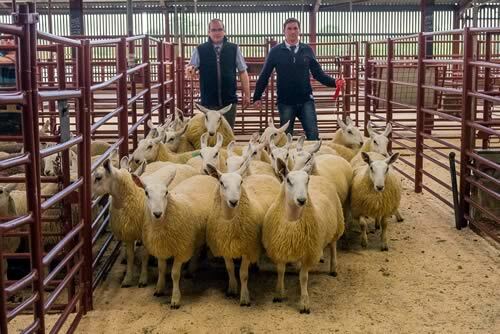 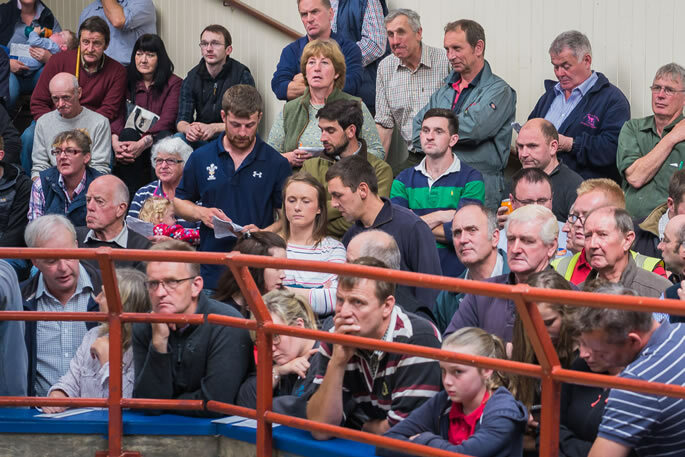 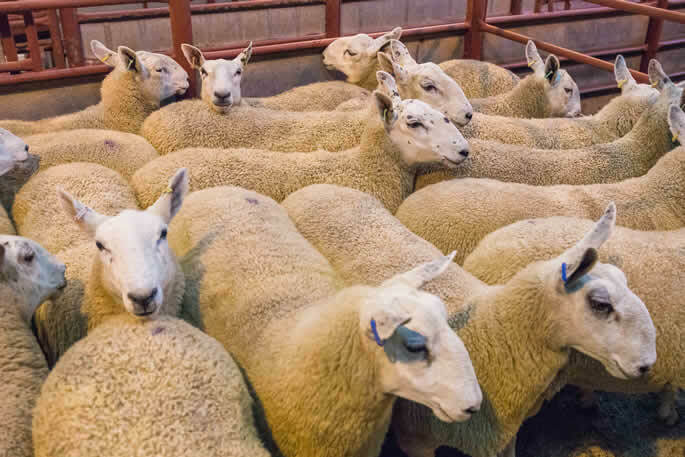 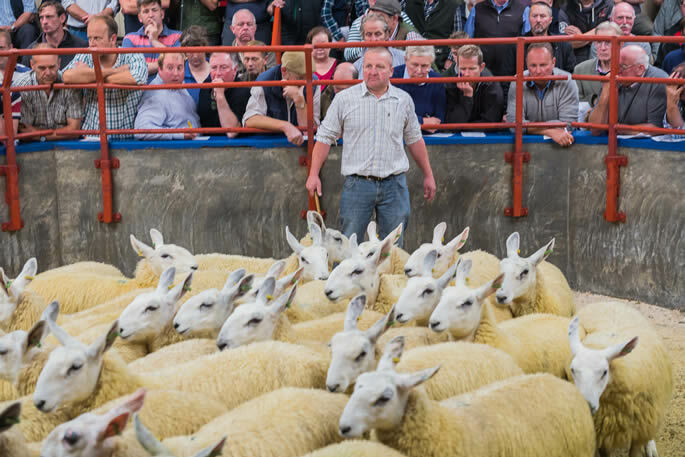 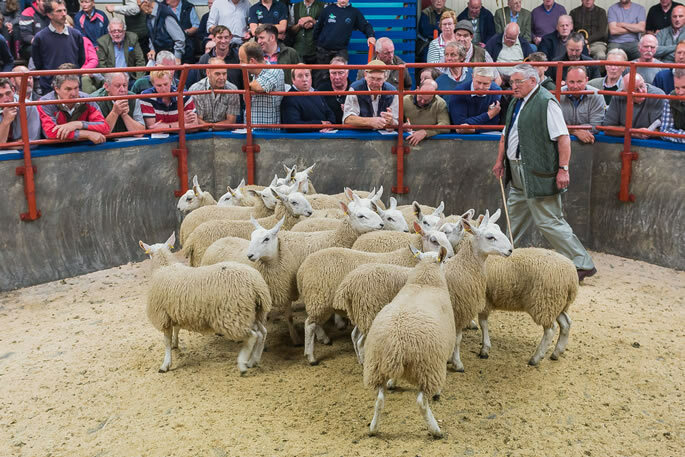 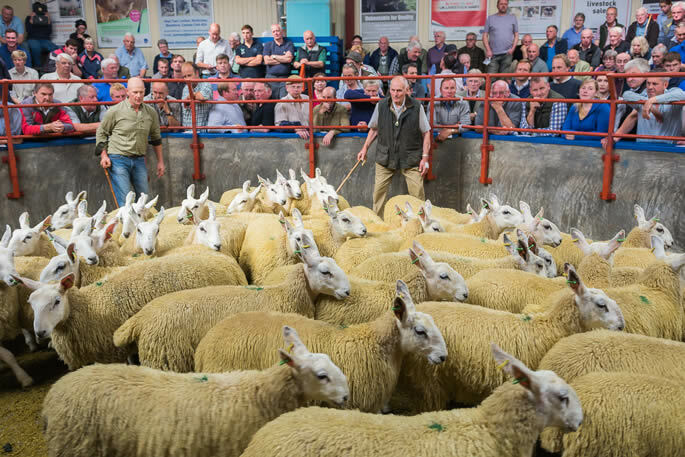 A packed ringside of buyers from Caithness, Aberdeen, Devon, Cornwall, Wales and Northern Ireland, along with the increased local trade saw all classes dearer on the year with vendors going home delighted with their trade. 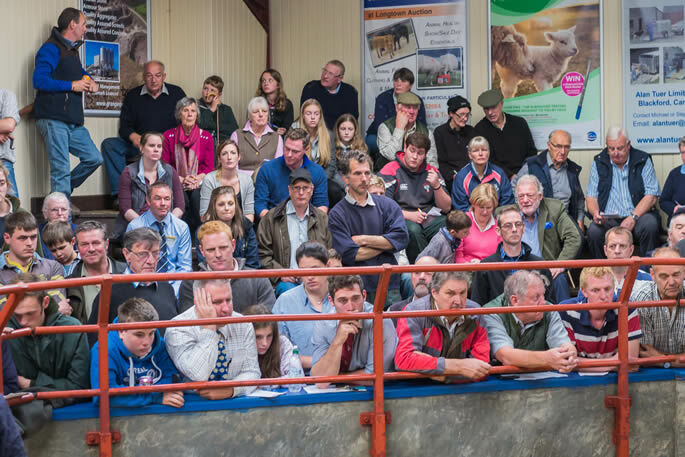 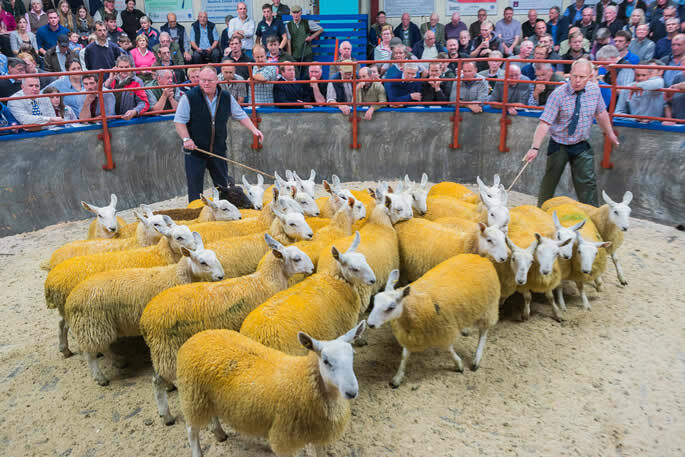 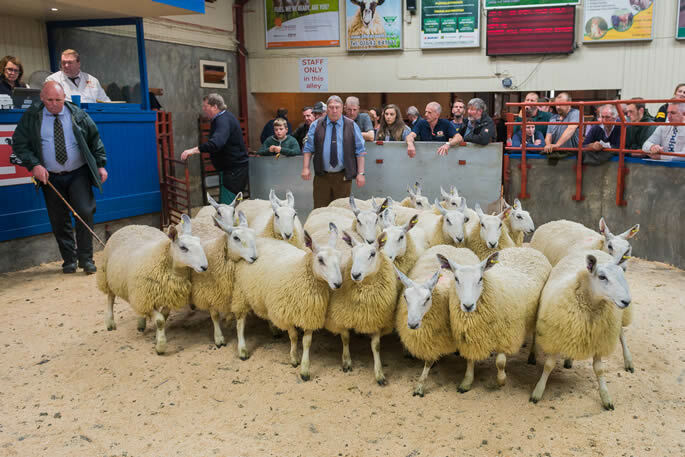 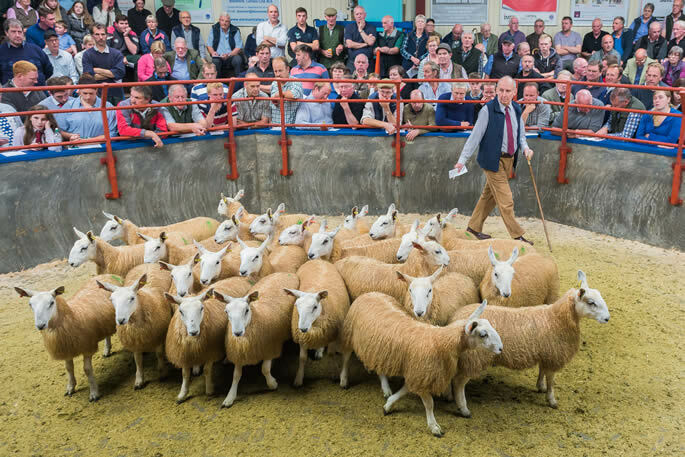 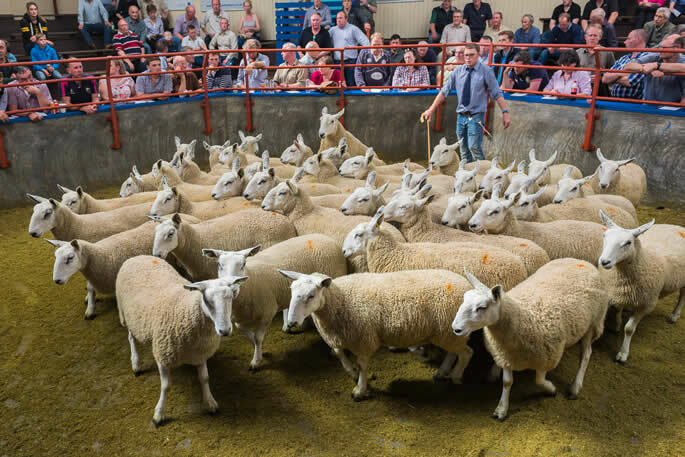 One of the best shows of sheep seen at this sale grossed over the £1 million barrier for the first time, with an overall sale average of £125.48, with a centre record for both ewe lambs to £182 from Swinside and shearlings to £210 x2, ex Over Finlarg and Mains of Machermore, being achieved. 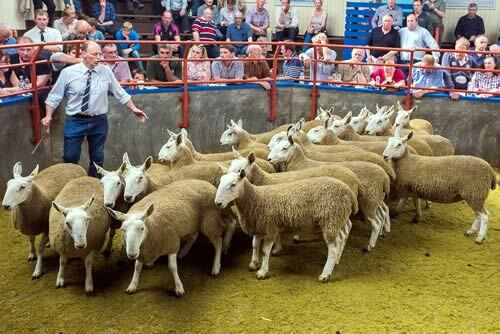 The Prize Show and Sale for pens of 20 Ewe Lambs and 20 Shearlings was kindly sponsored by Davidsons Animal Feeds and was ably judged by Mr S Sutherland, Sibmister Farm, Caithness, who awarded the Ewe Lamb Championship to P W Hedley, Swinside Townfoot, Jedburgh which went on to realise £182 to Messrs Moralee, Blackburn Farm, Durham, and the Shearling Championship went to IHG Warden, Skelfhill, Hawick realising £178 to Messrs Workman, Northern Ireland. 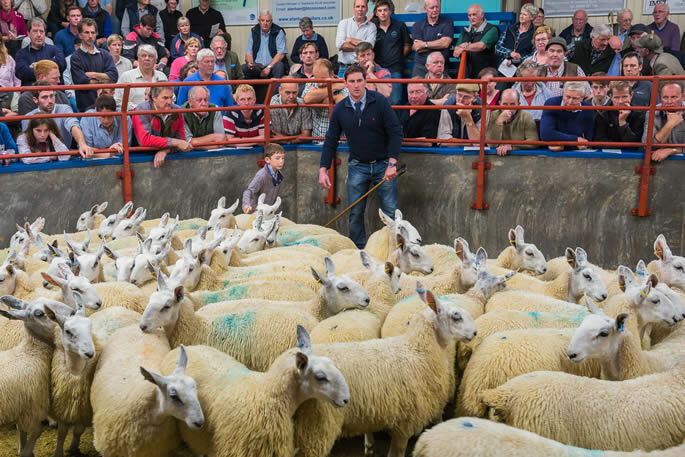 The 5,344 Cheviot Mule Ewe Lambs topped at £182 from Messrs Hedley, Swinside Townfoot. 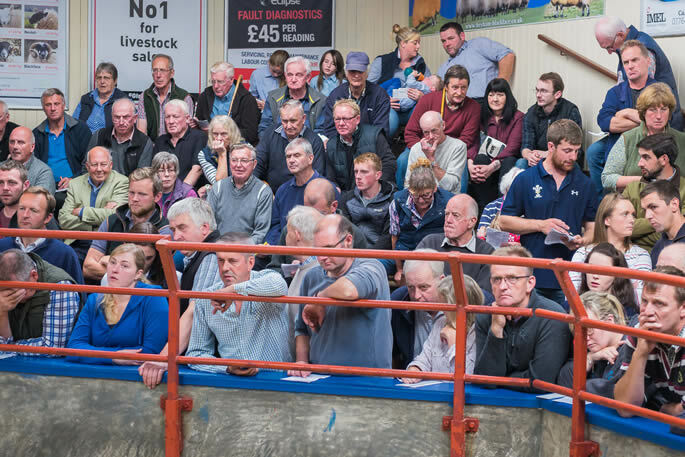 Principal prices: Average £114.70 (+8.25) for 1,093 more sold. 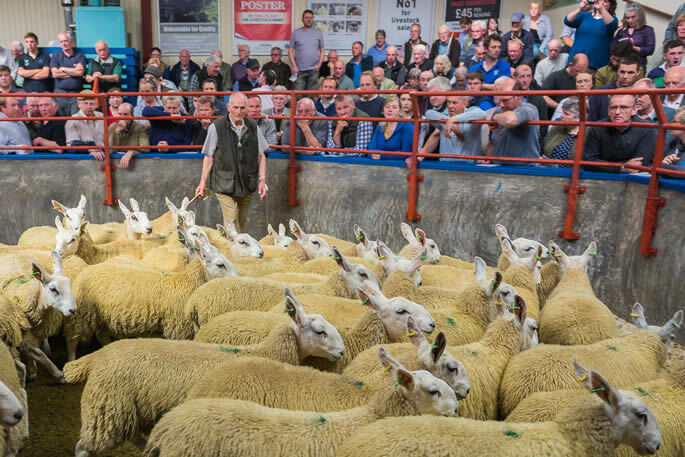 £182, £160, £158 Swinside, £154 Dormansteads, £150 Hownam Grange, Brockhouse & Kingside, £148, £146 Wardhills, £146 Kingside, Dodgsonstown & Wardhills, £144 Little Galla, Swinside (x2) & Brockhouse, £142 Dormansteads, Gospel Hall & Swinside (x3), £141 Swinside, £138 Little Galla, Swinside & Hownam Grange, £136 Terrona (x2) & Gospel Hall (x3), £135 Wardhills & Kirk House. 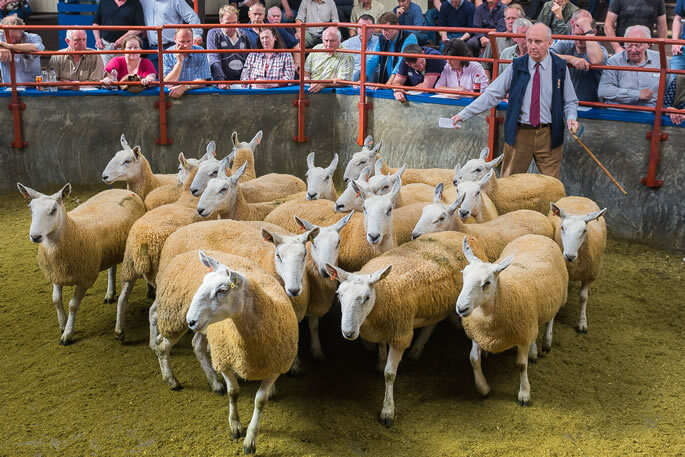 The 1,130 Cross Cheviot Mule lambs sold to a top of £134 for Texel cross from Messrs Smith, West Bolton selling to Messrs Sutherland, Caithness. 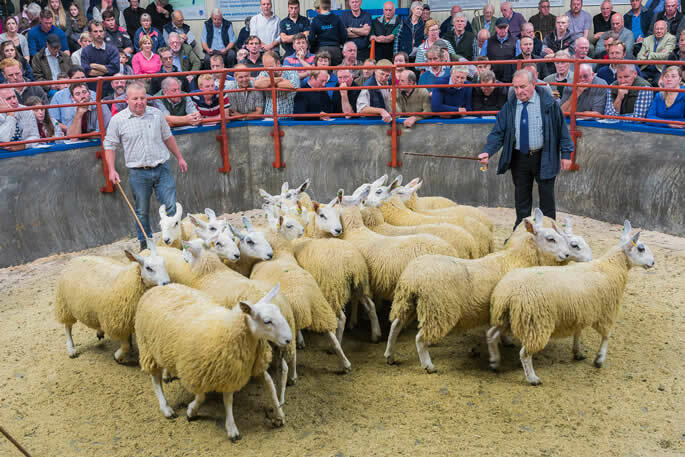 Texel Cross - £134, £131, £130, £122 West Bolton, £128, £120 Swinhoe North, £114, £112 West Bolton, £110 West Ulster & Philiphaugh. 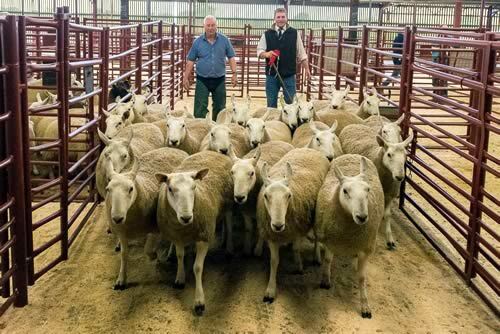 Suffolk Cross - £116 Philiphaugh. 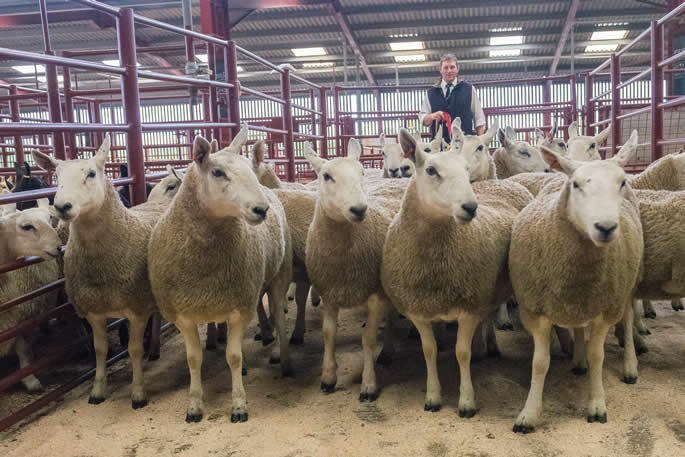 Another excellent show of 2,404 Cheviot Mule and Cross Shearlings were forward in excellent condition with a centre record being set twice at £210 from both Messrs McNee, Over Finlarg, Dundee and Messrs Milroy, Mains of Machermore, Wigtown, with many top lots heading to Northern Ireland. 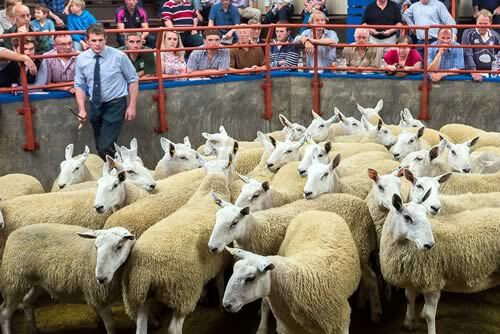 Principal prices: Average of £154.09 (+16.88) for 487 more sold. 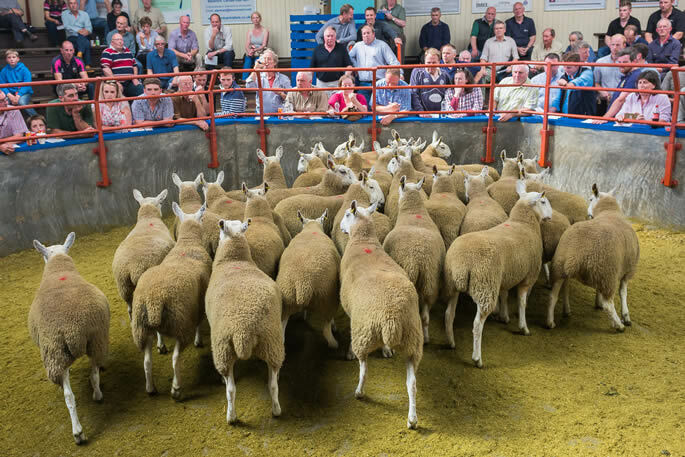 £210 Over Finlarg & Mains of Machermore, £200 (x2), £195 Over Finlarg, £190 Hartree Mill, £185 Over Finlarg, £182 Mains of Machermore & Gillesbie, £175 & £170 North Balloch, £165 & £162 Archbank, £160 Ryemuir & Marwhin & Glenjaan, £158 Kirkland (x2), Archbank (x2), Wester Ulston, £156 Newbank & Wester Ulston, £155 Hunting Faulds, £154 Wester Ulston & Glenjaan & Rawburn.